Surfing is a challenging and demanding sports for surfers, but also for Mother nature. Therefore our aim is to use ecological material choices and sustainable solutions throughout our process. Respect is everything for us, not only towards other surfers, but also towards the oceans and whole natural ecosystem. Here is an introductory to the technologies and methods that we are using to shape and manufacture our boards. We started our surfboard manufacturing with EPS-Epoxy boards. Still after years of experience in polystyrene and epoxy, we are still learning new things about this combination. It’s not just about the features of the materials, but also about the shape of a board and how the flex can be adjusted in it. EPS-epoxy combination creates a super light, fast and gliding board. Adding carbon strips the flex can be adjusted even better than with the traditional wooden stringer. 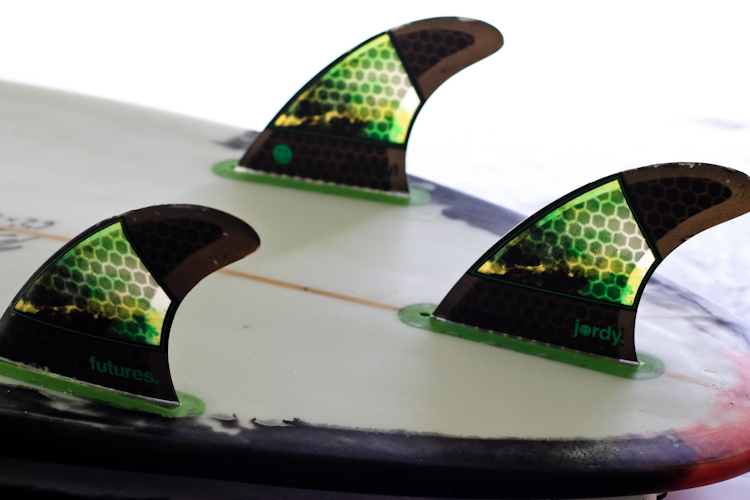 Carbon flex creates really reactive and dynamic board, keeping it still very lightweight and fast. 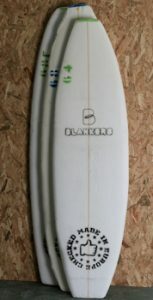 Most of our surfboards are manufactured using polyurethane foam and epoxy resin. This gives the board the feel most surfers are used to. Light density polyurethane foam with wooden stringer, laminated with SuperSap bio epoxy, creates natural feeling with the water, feels more sensitive under your feet and gives more flex in turns. This combination eliminates many of the down sides of the conventional EPS-epoxy boards. These boards are technically harder to manufacture but it’s really hard to achieve the performance of this construction with any other material combinations. We glass and coat all our boards with Super Sap bio epoxy resins. Because we use optically brightened epoxy resin, boards are whiter and they have longer lasting natural flex pattern. They also have 2-3 times longer natural life span than polyester boards. Entropy Resins’ Super Sap ECO resins are co-products or waste products of other industrially important processes. They are employing green chemistry techniques that require less energy and produce less harmful byproducts. We use high quality 4 and 6 oz Hexcel E and S fiberglass cloths which are basic standard in surfboard industry. Our polyurethane and EPS blanks come from Europe, which guarantees us an environmentally cleaner material choice. Shipping them from near-by reduces our carbon footprint on the earth. 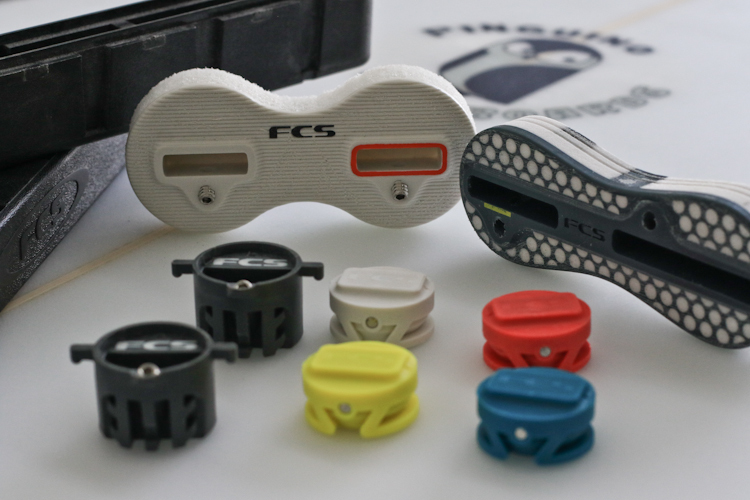 We use both FCS and Futures fin sytems and you can order your board with either one. We only use genuine, original FCS and Futures plugs.